Brandon Hanna, Ryan Vinco, and Deno Bistolarides of Encore REIS represented the sellers in both transactions – the team’s 10th drugstore sale of 2017. 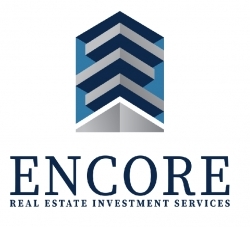 Farmington Hills, MI, June 02, 2017 --(PR.com)-- Encore Real Estate Investment Services, a net lease investment brokerage firm, is pleased to announce the sale of two single tenant properties with Walgreens as the tenant in Minnesota totaling $17 million. On May 31st the location strategically located at 115 N Garfield Street in Cambridge, MN sold for $4.5 million just weeks after the Encore agent's successful closing of the location at 950 County Road 42 West in Burnsville (Minneapolis MSA) at a MSA record setting $12.5 million. The Cambridge Walgreens property is located 55 miles north of downtown Minneapolis and is well located within the dominant retail destination of Cambridge on a hard-signalized corner at 1st and Garfield in the area's primary east-west thoroughfare. The property is directly across from the 1.1 million square foot City Center Mall and national tenants surrounding the property include Target, Walmart Super Center, Kohl's, Subway, Taco Bell, McDonald's and more. There were over 12 years remaining on the Absolute Net Lease at closing. Brandon Hanna, Ryan Vinco and Deno Bistolarides of Encore REIS represented both the seller and purchaser in the transaction. The seller was a Florida private owner and the purchaser was a California based real estate investor. The Burnsville Walgreens property is located 15 miles south of Downtown Minneapolis on the out parcel of Super Target and Costco directly across the street from Burnsville Center, the area's premier regional mall. There were over 18 years remaining on the Absolute Net Lease at closing. The intersection of County Road 42 and Burnhaven boasts traffic counts of 50,000 vehicles per day. The average household income within one mile of the property exceeds $73,500 and the population in the five mile radius exceeds 180,000 and there is 4.62% projected population growth by 2020. Based on the aforementioned as well as the phenomenal daytime population, the pharmaceutical giant strategically decided to relocate this store from across the street where it now performs at incredible sales volumes. Brandon Hanna, Ryan Vinco and Deno Bistolarides of Encore REIS represented the seller in the transaction. The seller was a prominent developer from the southeast, the buyer was an international real estate investor. "Walgreens properties with long term leases, corporate badges with exceptional sales in excellent locations continue to be in significant demand amongst private investors in this flight to quality market," said Brandon Hanna, Managing Partner and Drug Store Practitioner of Encore REIS. Ryan Vinco, Managing Partner of Encore REIS, added, "The overall retail market in the Minneapolis MSA is quite active and among the best markets in the Mid-West."